Legendary makeup artist, Pat McGrath, doesn't just love glitz and glam, she adores it. Never afraid to bring a decadent sparkle to a glamorous face, the beauty mogul has quickly become a serious contender among other heavyweight celebrity-headed brands like Fenty, KKW, and Kylie Cosmetics. With the line estimated as being worth over $1 billion, Pat McGrath Labs is clearly a force to be reckoned with. Setting up shop in the historic department store, Bergdorf Goodman, Pat McGrath Labs celebrated their arrival with the best ball Fifth Avenue has likely ever seen. 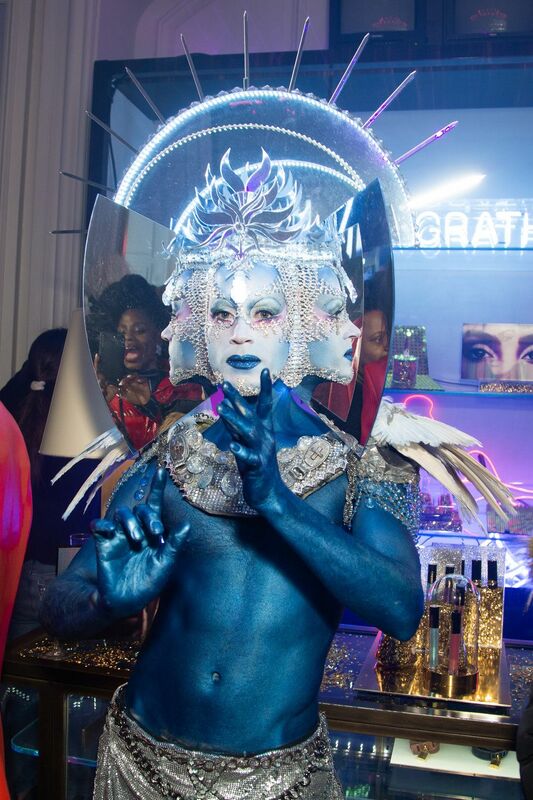 No stranger to throwing a vogue function, Pat McGrath enlisted the help of Pose star Dominique Jackson, RuPaul's Drag Race season 10 winner Aquaria, nightlife icon Amanda Lepore, beauty blogger Patrick Starr, backflipping model Alton Mason, and legendary rockstar Lenny Kravitz for a celeb-studded night attendees would not soon forget.